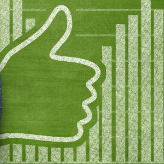 Are you confused on just how to measure the value of your company’s social media? Don’t worry about it because you are not alone. While there is a lot of information out there in regards to the subject, it is something that experts still don’t necessarily agree on. This has made it difficult for businesses, especially smaller ones, to gauge just what kind of value social media offers them. Here are a few pointers to help your SMB get a better idea of your social media’s value.